Many of us are not in a position to buy our own home and indeed for some of us the only way in which we can afford a place of our own is to rent one. It is worth noting however that renting a home is not always as easy as it may seem. Here we look at how to go about renting an affordable home and also we look at the pitfalls of renting as opposed to buying. As we have already mentioned it is not always possible to buy our own home; this may be because of a lack of finances or simply because we do not have a stable enough credit history that will satisfy potential mortgage lenders. With this in mind we must turn to renting as the next best option. When it comes to renting a property it is best to remember that although we class the property we live in as our own it still belongs to someone else who, depending on their own circumstances, may at some point want us to vacate the property. When renting a property you should always ensure before signing any agreements that the tenancy agreement allows for a suitable period of notice from both yours and the landlord’s perspectives. If for example you wish to leave the property then you must give the landlord reasonable notice and vice versa, all of which should be noted in any agreements you both sign. Likewise you may not be allowed to make any improvements – as you might see them – to the property without first consulting the landlord who may disagree with your ideas. If this is the case then your landlord may say no and with this in mind you cannot make any changes to the layout or decoration of the property without their prior consent. What Rights Do I Have if I Rent a Property? Your rights as a tenant are safe guarded by law and provided you stick to the terms and conditions of the tenancy agreement you have the law on your side. If your landlord decides that he or she is going to increase your rent for example, he or she must give you due notice and must also give you due notice in writing if he or she wishes for you to vacate the property. Any breaches of these agreements by either you or the landlord are civil matters and can be taken before a magistrate if necessary. However it should be stressed that this can be a long and arduous process. When you rent a property you will normally be required to pay a month’s rent up front and another month as a guarantee. This means that should you leave the property without consulting your landlord – he or she – will keep that month in advance in lieu of the rent you would have paid had you stayed in the property. This money is also held as a guarantee against any damage that you may cause to the property that requires the landlord to carry out repairs or redecoration. If you leave a property on good terms with your landlord you will get this guarantee back but only if the terms and conditions of the tenancy agreement stipulate this. Can I Move to Another Property Owned by My Landlord? If your landlord has more than one property he or she may be willing to allow a move from your currently dwelling to another one providing that you have carried out your duties as a tenant without causing any adverse damage or problems whilst in your current home. Your landlord may allow you to do this on condition that your tenancy agreement starts again from scratch once any such move has been completed. Again this is something that should be discussed with your landlord before entering into any agreement with them. Who Pays for Repairs to the Property? Depending entirely on the nature of the repairs your landlord is responsible for repairs to central heating, gas-supplied equipment such as fires and cookers, a leaking roof, faulty windows and doors and other such problems which may arise. 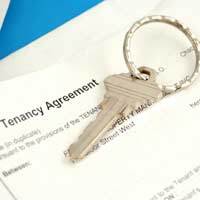 Your tenancy agreement will tell you exactly what you are covered for by way of damage and you should try where possible to ensure that no damage is caused to the property by mistreatment or unruly behaviour. In your tenancy agreement you will be given details of what constitutes unruly behaviour and mistreatment of chattels contained within the dwelling. For more information on tenancy agreements you should contact your solicitor if you have one or your local Citizen’s Advice Bureau who will be able to offer advice and support as well as helping you understand your tenancy agreement. Are Housebuilders Offering Better First-time Buyer Deals? Adverse Credit: Can I Get a Mortgage? How do I go about Renting? How Do You Apply for the Government Schemes? Are You Classed as a Key Worker? Can I Lower My Mortgage Payments? Can My Mortgage Lender Change My SVR? Should I Go for a Discounted Mortgage Deal? The Return of 100% LTV: What Are the Risks? Where Can I Get a 10% Deposit? Will I Get Repossessed If I Can't Pay My Mortgage? What are Home Buy Schemes? What is a Home Information Pack? Can I Have an Affordable Green Home? What if Your Home is Repossessed? Where is the Biggest Shortage of Affordable Housing? Why is There a Shortage of Affordable Housing? Mortgage Lender No Longer Exists, Does This Affect My Repayments? Questionnaire: Am I Eligible for a Interest-only Mortgage? Questionnaire: Am I Eligible for Housing Benefit? Questionnaire: Are You Ready to Be a Co Owner? Questionnaire: Do You Qualify for Government Help? Questionnaire: How Much Can I Afford to Borrow? Questionnaire: I Can't Afford Insurance, Do I Need It? Questionnaire: Should I Get a Lodger? Questionnaire: Should I Go Direct to My Bank or an Advisor? Questionnaire: Should I Increase the Share in My Property? Questionnaire: Should I Save or Pay Off Mortgage? Questionnaire: Will the New Mortgage Regulations Affect Me? Will Not Needing a HIP Make My House More Affordable? How is Government Improving the Housing Situation? What Cuts are the Government Making to Housing Benefit? Re: Can My Mortgage Lender Change My SVR?